We check over 450 stores daily and we last saw this product for $15 at BaubleBar. 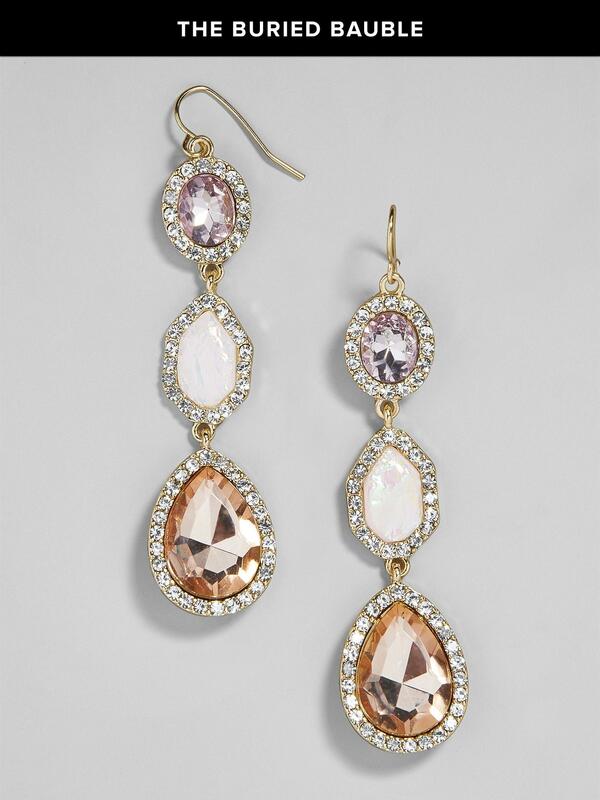 We're absolutely mesmerized by the luxe tones of these glittering crystal drops. 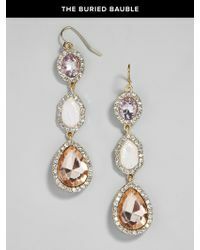 While an obvious choice for evening wear, these earrings pair well with casual attire too. Brass wire, zinc casting, acrylic and resin stones. Fishhook. Hypoallergenic. Length: 3"; width: 0.75". Medium weight 0.35 oz.